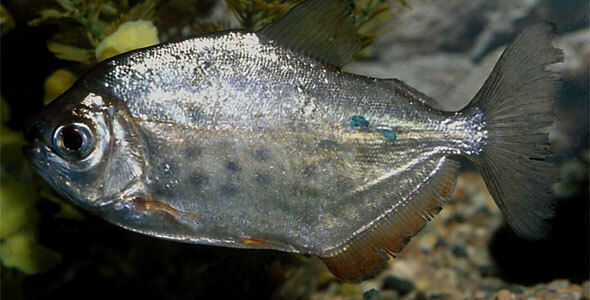 Named for the famous 1920’s boxer Jack Dempsey, the Jack Dempsey fish is easily recognized by its aggressive nature and strong facial features. A large fish, it is quite popular among aquarium owners because of its appearance and generally personable attitude. 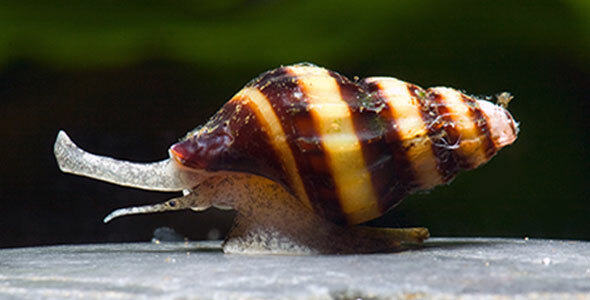 Though aggressive in the wild, the Jack Dempsey will settle fairly quickly in an aquarium once given an opportunity to select and establish its territory. They will continue to defend their territory against encroachers, so it is not recommended that these fish be kept in small tanks. Jack Dempseys are striking fish that are best displayed under soft aquarium lighting that can highlight the glow of their scales. The Jack Dempsey are black in body with an overlay of beautiful iridescent green spots covering their body, fins and tails. 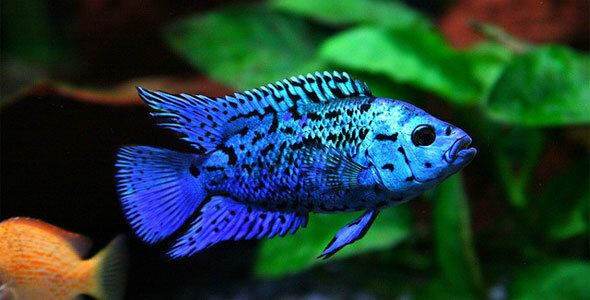 Another commonly found variety is the Electric Blue Jack Dempsey. It is almost identical to the Jack Dempsey, but the Electric Blue is a deep blue bodied fish with electric blue iridescent spots. Electric Blues are also smaller, less aggressive, and significantly more delicate than the regular Jack Dempsey. Either fish would make an excellent addition to the large home aquarium as they bring bright, bold colors to the fish tank. Jack Dempsey’s lay eggs in order to reproduce. These eggs are laid on the floor of the aquarium by the female and fertilized by the male. Both parents will guard the eggs and both parents display significant parental interest in their young once the fry have hatched. In fact, Jack Dempseys will even pre-chew food before feeding it to their fry. A sign that the breeding pair are under duress is the eating of their young as this does not happen unless something is wrong. A fairly hardy fish, caring for a Jack Dempsey is easy. 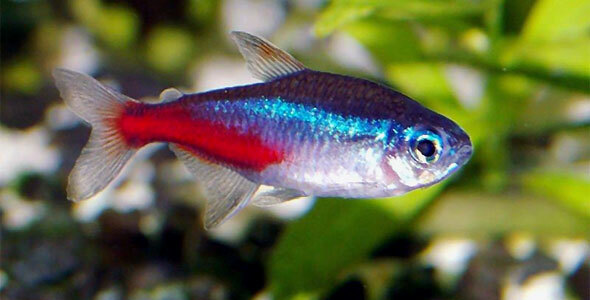 A tropical freshwater fish, they prefer warmer waters with a temperature between 72-86˚F and a pH between 6.0-7.0. These fish are excellent large tank companions for fish such as the Oscar as they can compete in size seeing as how Jack Dempseys can reach ten inches in length. Jack Dempseys are known for their interior design habits and will rearrange rocks and plants to suit their needs, so it is important to anchor down any large rocks and decorations to prevent avalanches and accidents. A deep gravel bottom is recommended so that these fish can get their need to re-decorate out in a safer manner. Jack Dempsey’s require hiding places, preferring to establish their territory in caves. Remember, these fish are territorial and may become very aggressive if they feel their territory is being encroached upon. Do not have large fish mixed with significantly smaller fish or your small fish may be eaten as a snack. Jack Dempseys are hearty carnivores and prefer live foods such as feeder fish, insects and worms. They can exist off a diet of flake foods, but live food is highly recommended as at least a treat.